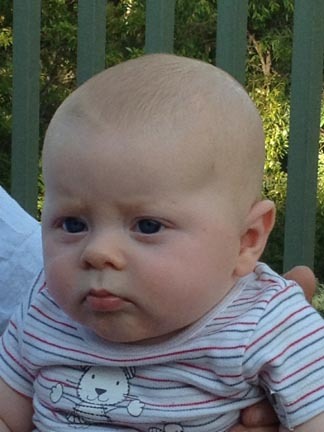 Today is the start of our weeks visit with my son Shane, his partner Stacey and my beautiful grandson O'Shea. 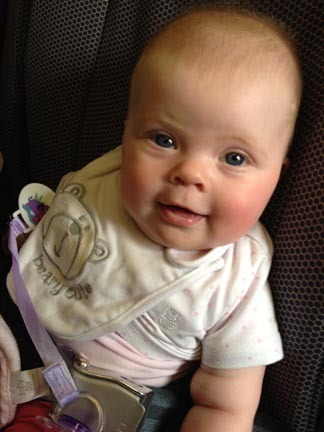 My daughter Rachel, my grandaughter Clare and I caught a morning flight to Canberra which took just over an hour. This was Clare's 1st time on a plane and she was great. All I can say thank goodness she is breast fed. Once we picked up our hire car it was of on the almost 2 hour drive to Nelligen. The car we have got is a Suzuki Kizashi (which I have never heard of) and to start and stop the engine you just push a button. Really weird concept to get my head around but it goes pretty good. Clare slept all of the way and Rachel slept most of the way. We are now in Nelligen almost all are asleep and I am just sitting enjoying being with both my children and their children. Sad Note: For those out there who have read my blog previously you may have heard me mention Shane & Stacey's two beautiful dogs Mitch and Bosco. Well last week Mitch passed away - he was only 3 1/2 years old and it is thought that he was bitten by a snake. 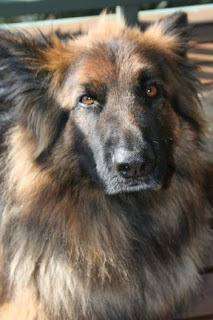 He was such a beautiful well behaved dog and is sadly missed especially by Stacey and his best friend Bosco. Your granddaughter and grandson are so adorable. They've sure grown since I last saw photos of them... so cute! I'm sorry to hear about Mitch, that's so sad. What beautiful photos Davine - so sorry to hear about Mitch - I am sure he will be sadly missed.